The borough of Queens? It’s the most ethnically diverse place on earth. Our latest eau de parfum, Bond No. 9 Queens, is all-inclusive too—wearable by males and females, kings and queens, the edgy, the flamboyant, and the buttoned-up too. NEW YORK, August 20, 2014 / PR Newswire / — Now in our 11th year, New York–centric Bond No. 9 has become a global brand, sold in 35 countries. So when it came to honing in on a locale for our latest eau de parfum, we chose Queens—the world’s most global and ethnically diverse urban area. Like the borough, the scent of Bond No. 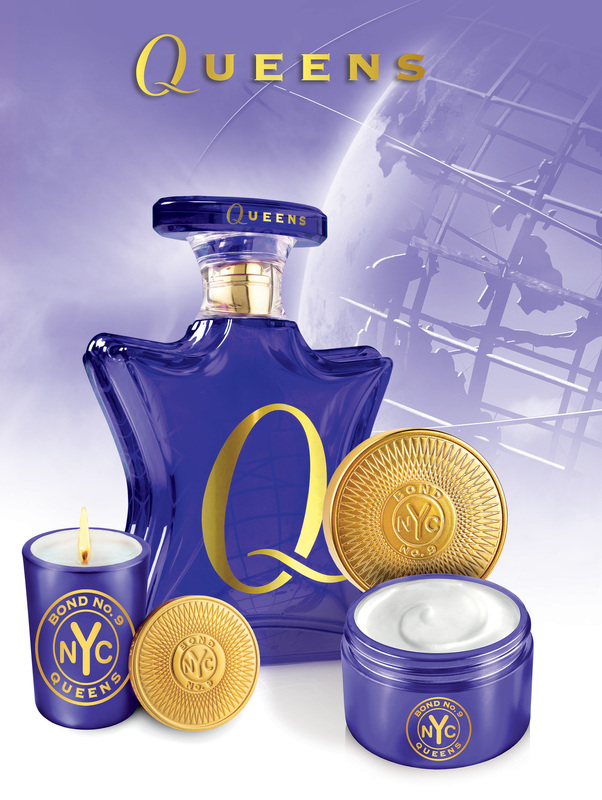 9 Queens is appropriately inclusive—a breakthrough tuberose–rich eau de parfum that isn’t sugary or sweet, but rather will appeal to a broad base—male and female, king and queen, flamboyant and restrained. We’ve built our reputation as a New World perfumer scent–mapping the neighborhoods of our incomparably great city, starting with the iconic neighborhoods of Manhattan, gradually expanding to seaside enclaves in and around the Hamptons, and making inroads in Brooklyn, land of the hip and cool. Now entering our 11th year, there’s another outer borough we’re proudly calling our own—and this one arguably is the most eclectic, indefinable, and possibly inscrutable of all. It was named for the 17th century Portuguese princess Catherine of Braganza, ruler of England, Scotland, and Ireland. You don’t mess with her or her namesake landmass. Yes, the borough has a repuation for affability, but it’s also Martin Scorsese–, John McEnroe–, Louis Armstrong–, Christopher Walken. What’s more, this year marks the 50th anniversary of the New York World’s Fair. 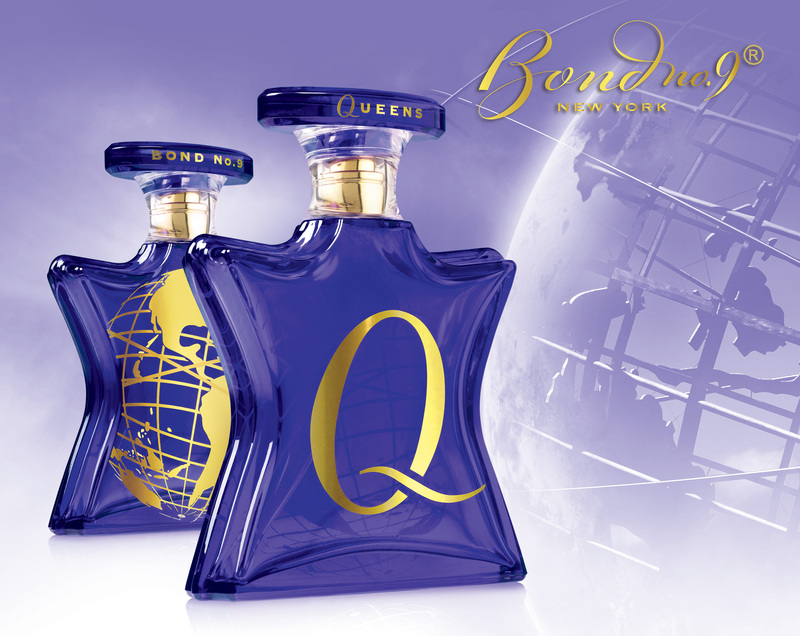 Queens, the scent, designed with plenty of diffusion, places its key ingredient, tuberose, in an unexpected contemporary context, preceding it with citrussy bergamot, come–hither blackberry, and haunting cardamom topnotes. And then when explosive and succulent tuberose does appear, it’s tempered by velvety champaca and tea–like osmanthus, and sustained by reliable base notes—sandalwood, musk, amber, and benzoin resin. As for the Queens bottle: Etched in gold leaf on the front is a whirling rendering of the World’s Fair’s iconic geodesic dome; and on the back, a simple long–tailed Q. The background color? All–inclusive, multi–gendered royal purple, appropriately enough. Bond No. 9 New York: In business for eleven years, Bond No. 9 is an edgy downtown perfumery, committed to designing artisanal scented evocations of the neighborhoods and streets of New York—from Riverside Drive to Chinatown to Coney Island. Bond No. 9 has a dual mission: To restore artistry to perfumery, and to mark every New York neighborhood with a scent of its own. 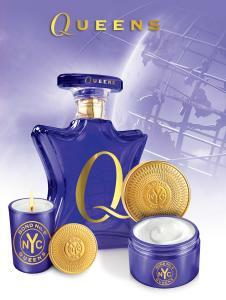 Each fragrance represents a specific downtown, midtown, or uptown locale or a city–wide sensibility.